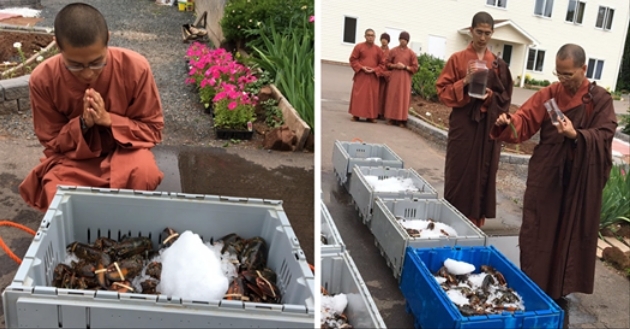 More than 600 pounds of lucky lobsters were spared the pot Saturday, thanks to compassionate monks on Prince Edward Island. 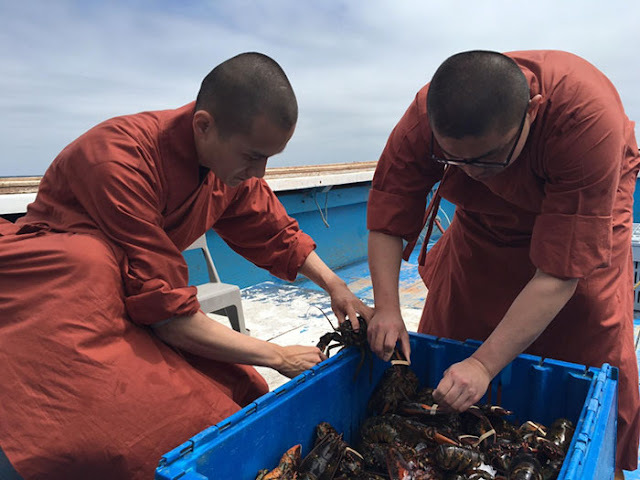 The monks bought the lobsters from various places around the Island, said Venerable Dan of the Great Enlightenment Buddhist Institute Society in Little Sands. 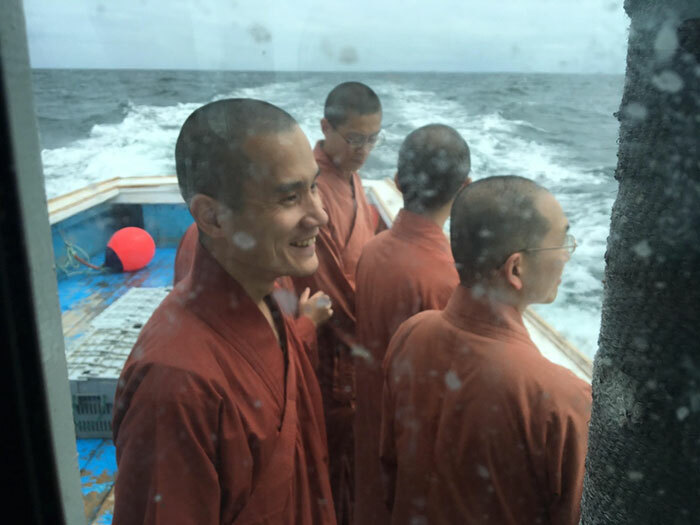 On Saturday, they boarded a fishing boat and released them back into the ocean off the coast of Wood Islands. "Hopefully, we can find a spot where there are no cages waiting for them," said Dan. 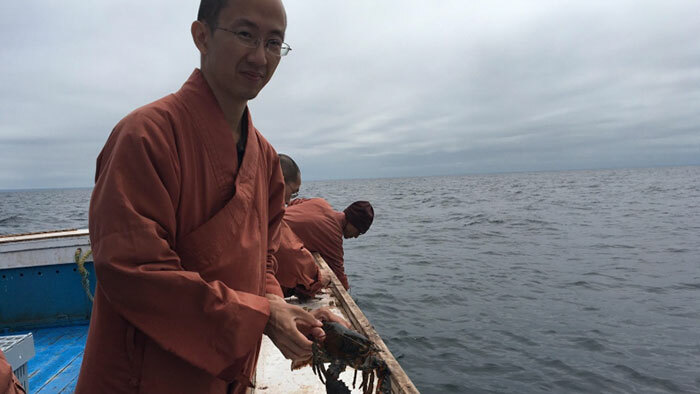 The purpose is to cultivate compassion not just for the lobsters, but for all beings, he said. "We respect everyone's dietary choice, so we're not doing this to convert everybody to be vegetarians or vegans," he said. "This whole purpose for us is to cultivate this compassion toward others. It doesn't have to be lobsters, it can be worms, bees, any animals, drive slower so we don't run over little critters on the street." 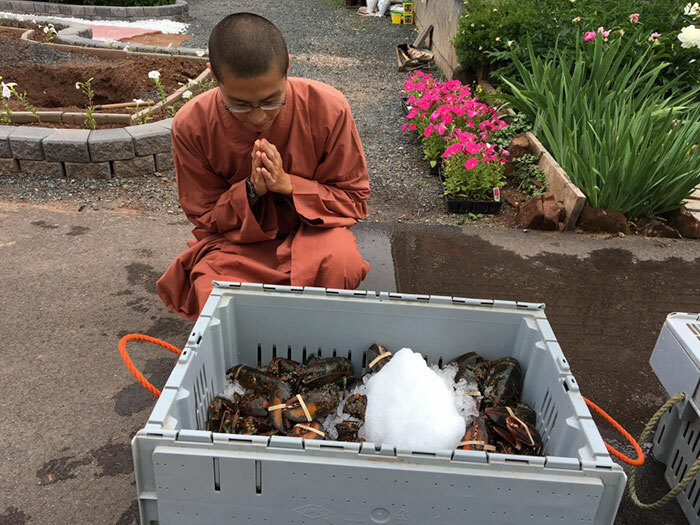 Before releasing the lobsters, the monks held a 20-minute ceremony with a prayer and chant to the Buddha of compassion. Dan said you don't have to have a ceremony or be a Buddhist to practice compassion to be nicer to all the living beings around you and try to think from their point of view. 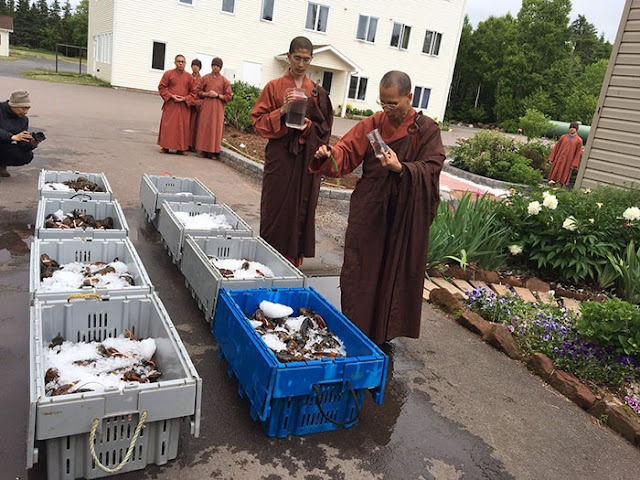 Responses to "Buddhist Monks Buy 600 Lbs Of Lobster, Release Them Into Ocean"